BC Healthy Communities (BCHC) is pleased to announce that co-op student Naomi Phillips will be joining the BCHC team for the summer. Naomi will be working and learning with BCHC as our Communications Coordinator. Naomi is currently enrolled as a Political Science student at the University of Victoria, she has worked with Aboriginal Affairs and Northern Development Canada and is pursuing a career as a policy analyst. With her strong writing skills Naomi will be an excellent addition to the team and we’re very happy to have her on board! The Canadian Healthy Communities Network is proud to announce the launch of their new website. The website contains useful resources, such as tool kits, manuals and reports, that embody Healthy Communities principles to assist researchers, policy makers and practitioners. The Canadian Healthy Communities Network was established by four provincial Healthy Communities Networks, including BC Healthy Communities , Ontario Healthy Communities Coalition, Reseau quebecois de Villes et Villages en sante and Mouvement Acadian des Communautes en Sante. These organizations have worked together since October 2009 to advance and exchange knowledge across Canada about Healthy Community (HC) initiatives. Its purpose is to support provincial, regional and local HC networks and coalitions by providing access to educational resources and opportunities for peer learning and sharing expertise, experiences and success stories. Click here to visit the website and don’t forget to check out the Storytelling Corner section where you can find some inspiring Healthy Communities stories. 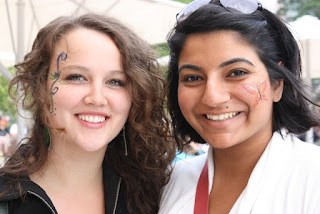 As part of the City of Victoria’s 150 year celebrations, The City of Victoria Youth Council (CVYC) hosted a Youth Arts and Music Festival on Sunday, May 27 in Centennial Square. The event entitled, “Love Your Art!” highlighted the spectrum of artistic talents of young Victorians artistic talents. Community members of all ages and walks of life attended and showed their support for youth arts in Victoria. Highlights included an energetic performance by local favourites, Animal Astronauts; a moving piece on the topic of teen bullying and suicide by students from Central Middle School; and the involvement of many local talented artists. The event was family friendly; many kids and folks young at heart stopped by for face painting, chalk drawing, and bubble blowing! For more information on the event or to view event photos, be sure to check out the City of Victoria Youth Council’s Facebook page . The CVYC would like to gratefully extend their gratitude to the City of Victoria for providing the venue and funding to make this event possible. Storytellers' Foundation is a registered non-profit society established in 1994 located in the Village of Hazelton on the traditional territories of the Gitxsan people in northwest BC. Their practice promotes community development through an integrated approach that stems from the diverse values and socioeconomic visions of community members. Cultural and environmental competence is a foundation for all their relationships and practice. For the past ten years Storytellers’ has served several functions in connection with community organizing. These functions have included facilitating community development discussions and initiatives, research about the conditions in which rural people live, participatory action research with youth, analysis of the local economy and our socioeconomic potential for non-industrial economies, communication and public education around Gitxsan issues, and general socioeconomic analysis. Through their work, Storytellers’ aims to foster personal and political mobilization through the development of an active citizenry in order that residents of the Northwest can further define their social and economic destiny. The Storytellers' Foundation and BCHC have recently worked together on the Living Life Fully (LLF) project. The project, developed by and for youth, focused on promoting Healthy Living in the North Region through educating and engaging the community on local and traditional foods. Visit the Storytellers' Foundation website to find out more about the exciting work that they're involved in. The United Nations Declaration of Human Rights states that “everyone has the right to a standard of living adequate for [their] health and well-being…including food (The Universal Declaration of Human Rights, 2012). In Canada, access to a food system that is economically viable, socially just, and environmentally sustainable is a difficult feat that seems riddled with health inequities. Much of the current food system perpetuates an unhealthy pattern where processed, nutritionally empty foods are more affordable than fresh nutrient-rich foods. 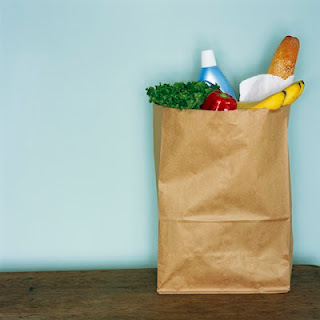 The 2004 Canadian Community Health Survey (CCHS) found that almost one in ten Canadian households (representing approximately 2.7 million individuals) were not able to afford the foods needed for a healthy, balanced diet at least once in the previous 12 months (Heart and Stroke, 2009). Food insecurity can be closely linked to a geographical gradient and associated with poverty. Low-income neighbourhoods often experience food deserts due to a lack of grocery stores with affordable nutritious foods, as these businesses tend to situate themselves in affluent communities. The persistence of a good food gap is gaining attention in our society and is described as “the policy space separating the farm income crisis from the health crisis — in other words, the fact that farmers find it difficult to make a living growing food, and consumers find it difficult to make the good food choices they want to make (Metcalf Foundation, 2011).” The good food gap accurately depicts the plethora of ways in which our food system is not meeting the needs of those who rely on it. Food security disproportionately affects communities of lower income compared to neighbourhoods of high socioeconomic status. There is a strong association between food insecurity and higher obesity levels due to low cost foods being higher in fat, calories, and nearly devoid of nutritional value. It is easier to make unhealthy food choices based on resources available in one’s immediate environment. Food banks are a community resource for food targeting individuals with lower income. However, individuals may shy away from food banks as they are linked with a certain stigma and may instigate users to feel degraded and humiliated. Food banks also tend to be devoid of fresh produce and generally provide less nutritionally dense foods with a longer shelf-life (i.e. canned products). Communities could benefit from re-configuring the items that are provided by food banks and altering the items on stock depending on the specific needs of the community. Community involvement is an essential puzzle piece to improving the type of food provision in food banks as they can help pinpoint appropriate foods. In order for this program to be truly needs based, low income individuals should be at the table with other stakeholders since they can provide the frame of mind and personal experiences that can help create effective food security initiatives for the lower socioeconomic populations. How can we lessen the good food gap? Increased support for community gardens among low-income neighbourhoods can help create opportunities to provide local, fresh produce, and foster a sense of community connectedness. The incorporation of community gardens in low-income housing creates skill-building opportunities, community connectedness, and providing fresh produce for the residents. While we cannot dismiss the fact that policy changes at the federal level take time, municipal governments should educate communities on the importance of eating well, provide support for healthy eating initiatives for low-income neighbourhoods (i.e. community gardens), and foster partnerships among businesses and/or non-profit organizations within the community. In a country that is viewed by many across the globe as a land of opportunity and wealth, we should foster and maintain our reputation by fighting the good food gap. A nation with a healthy population is worth the fight. 5. 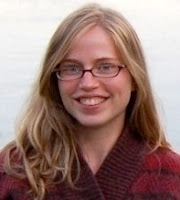 Interview with Lauren Baker, the Executive Direction for Sustain Ontario, which is a not-for-profit organization dedicated to healthy and ecologically responsible food and farming in the province. Webinar ~ Nudging Us Towards the 5th Wave of Public Health - New Practices and Policies. What: Back on popular demand! FREE webinar with Phil Hanlon and Anne Docherty. The webinar will focus on supporting healthy public policy development, the conditions necessary to support the fifth wave and emergent signs of the fifth wave. What: 'Healthy People, Healthy City' will feature highlights of local people and programs doing groundbreaking work in urban health, a panel discussion with leaders in health and social sustainability, and keynote speaker Andre Picard. The Active Healthy Kids Canada Report Card offers the most comprehensive annual assessment of child and youth physical activity in Canada. Active Healthy Kids Canada strives to be a trusted source for “powering the movement to get kids moving”—a ‘go to’ source for knowledge, insight and understanding that influences thinking and action among issue stakeholders to help build better programs, campaigns and policies in order to increase physical activity among children and youth. Advancing knowledge is the cornerstone of Active Healthy Kids Canada’s work, providing the evidence base for communications and issue advocacy work related to child and youth physical activity. 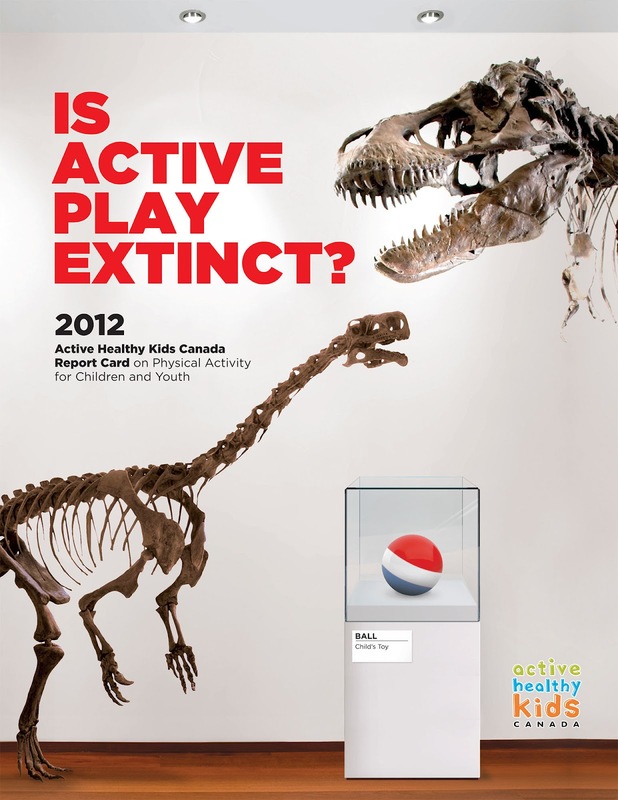 In an ongoing effort to advance knowledge to effect change, Active Healthy Kids Canada, together with its strategic partners the Healthy Active Living and Obesity Research Group at the Children’s Hospital of Eastern Ontario (HALO-CHEO) and ParticipACTION, releases the annual Report Card on Physical Activity for Children and Youth. For more information on Active Healthy Kids Canada, to access archived and the most recent Report Card and resources, visit www.activehealthykids.ca.